This week’s update on the progress of excavation group two comes courtesy of ANTH60a student, Mozelle Shamash Rosenthal. Mozelle is a Brandeis University undergraduate student majoring in Anthropology. 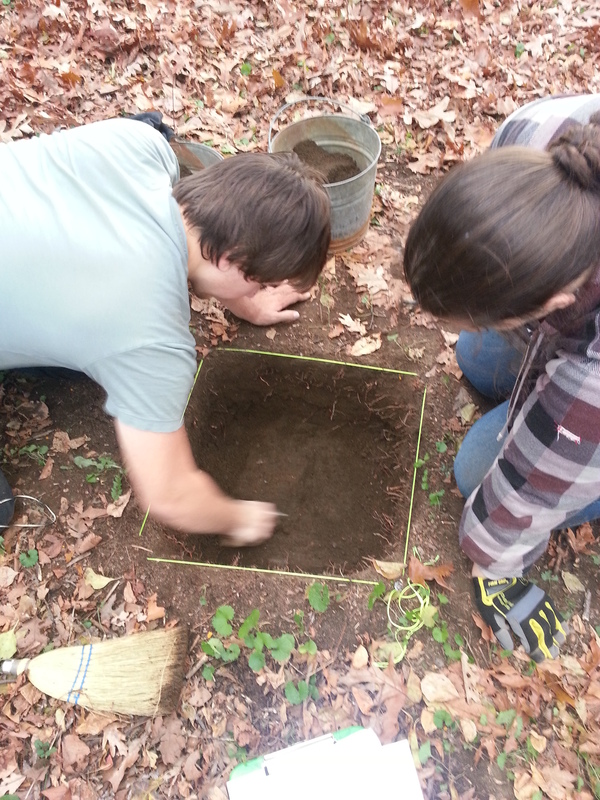 Last week, Group Two opened a new unit back in Operation 3, which has so far proved to be more lucrative in terms of the number and size of the artifacts found relative to the past two units we have dug. We closed our unit the week before in the same area, and were eager to start on the next one, since this will be our in this operation. 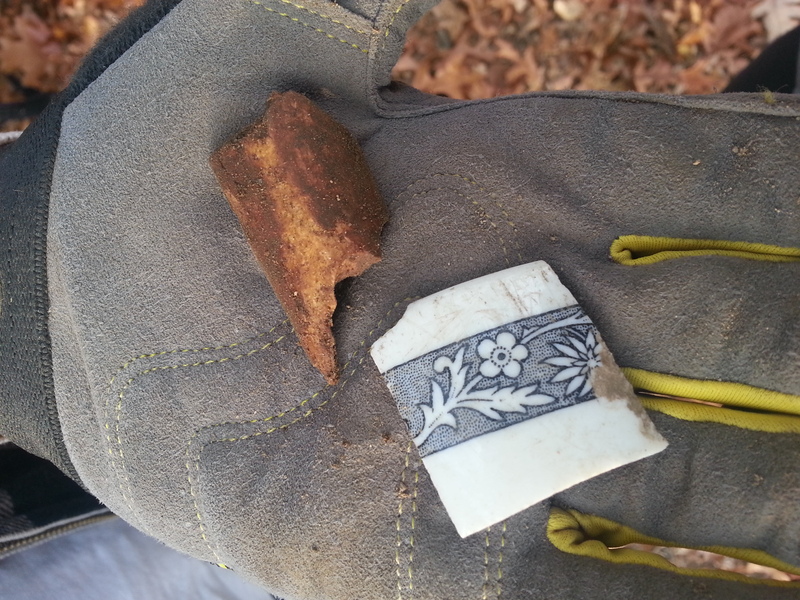 The day started off well, in the topsoil we found several shards of clear and colored glass, a larger piece of while ceramic with blue decorations, as well as metal, animal bone, and what seems to be tinfoil. We found a couple pieces of metal that look like nails, but most of the metal we discovered is probably waste. Moving quickly on the Layer B, we found some similar materials as well as a pinkish ceramic fragment, and what may be more industrial or building waste. The frequency of the artifacts decreased as we dug further and we ended the day when we reached a more sandy, yellow layer of earth. In Operation Three, the materials have been fairly similar across the three units our group has worked on. The quantity in the current unit seems to be much more than in past weeks. Next week we hope to close this unit and finish in Operation 3, since there will be a total of 6 units opened at the back of the farm.